We write to correct numerous errors in the article, although the issues AB 286 seeks to address are real. A recent publication described California’s roll-out of cannabis regulation as maladroit. The description is apt. California’s failure to carefully heed all of the admonitions of the Report of the Blue Ribbon Commission in its implementation of cannabis regulation is a far more pervasive cause of the present chaos than tax rates that are too high and a lack of banking. California succumbed to the lure of tax riches in the same way as investors have succumbed to the lure of easy money. We won’t attempt to address any points in detail in this brief Post. Instead, we comment on some statements in the article. 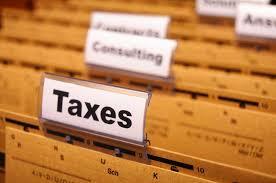 A tax rate break is always helpful to the business that receives the break. 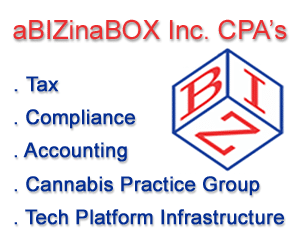 Cannabis businesses involved in the legal market compete with other legal cannabis businesses. 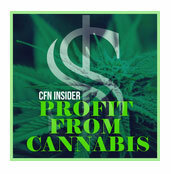 These businesses do not compete with the underground cannabis market. As we have described in another Post, California is going to have significant underground cannabis market for the foreseeable future. Reducing the state-wide taxes will have some impact on the underground market. However, a complete elimination of the California Cannabis Taxes would not eliminate the underground market. As long as the street price for cannabis is under 60% of the total cost including taxes to the consumer, the underground market will feel no financial pressure from the legal market. California could accomplish far more by making it easier for those who are trying to become legal to do so, and by collecting all of the cannabis taxes that legal businesses collected from consumers, than the tax reductions proposed in AB 286. This statement is simply blame-shifting by unnamed state officials. It is our opinion the impact of a reduction in California’s taxes on cannabis will be minimal. The failure of CDTFA to compel licensed cannabis businesses to pay-over all of the cannabis taxes collected from consumers is far more significant. A substantial portion of California’s missing taxes are losses from the grey market – locally licensed businesses or locally tolerated businesses that pay some local taxes and fees and perhaps some cannabis taxes, but are primarily doing what they have always done evading taxes – and not paying CCT and CET. Accounting for cash increases costs, but cash can be accurately accounted for and reported. Cash businesses are prone to tax evasion in the absence of proper internal accounting controls. However, limited access to banking is not unique to California’s legal cannabis industry. Underground cannabis businesses have managed for generations without banking. Many other cash intense businesses have difficulty maintaining banking relationships. The quoted statements are flip and meaningless. All businesses are taxed from the start, although states and local jurisdictions frequently encourage new businesses or types of businesses through tax breaks. 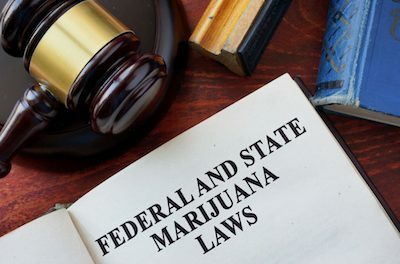 As the readers are aware, California as well as many local jurisdictions imposed not only special taxes on cannabis but also charged substantial fees and imposed onerous regulations rather than granting tax breaks and encouraging businesses to become legal. The lure of easy money seduced both the public and their governments. California needs to correct the underlying process of reporting and collecting taxes; it isn’t a matter of incremental improvement. 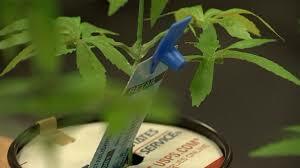 California needs to make gross changes in the collection process for a satisfactory result. AB 286 is a small step, but California, and those cities and counties that want to have cannabis businesses, must concentrate their regulatory efforts on making it as easy as possible for cannabis businesses to become compliant taxpayers. We have commented in other articles on the extent to which California unnecessarily over-regulated in areas that should have been addressed by local jurisdictions. “. . . . The current taxes imposed on the state’s cannabis industry were part of Proposition 64, the adult-use legalization measure passed by California voters in November 2016. 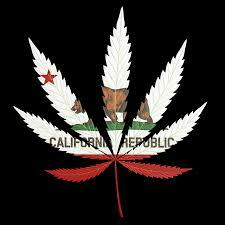 Californians did not start legally selling cannabis, formerly known as marijuana, last year. Californians have been legally selling cannabis since 1996 under Proposition 215, although those who opine so freely on the causes of the problems with California’s roll-out of cannabis regulation appear to have forgotten about Proposition 215. Of course, Proposition 215’s legal sales were transactions conducted between cultivators who were not interested in making money and who distributed cannabis to patients through not-for-profit corporations operating as collectives or cooperatives solely for the benefit of patients who needed medicine. For substantially all of the ten years following 1996 success or survival in California’s cannabis industry, depending on your perspective, required local tolerance, a low profile, and an absence of bad luck. As is stated in the first sentence quoted above, the current taxes on cannabis were imposed by Proposition 64. That the current rates of tax on cannabis were imposed by Proposition 64 raises some interesting questions. Why are those same individuals who argued for the passage of Proposition 64 now arguing for tax rate reductions? Proposition 64 is an amendment to the California Constitution. Does the California legislature have the authority to reduce through AB 286 tax rates that are set by the California Constitution? 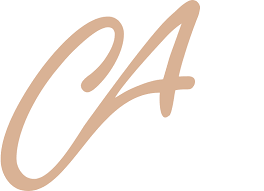 The approach taken in AB 286 for the reduction in Cannabis Taxes as distinguished from the authority to reduce cannabis rates set by the California Constitution is even more curious. AB 286 temporarily eliminates the Cannabis Cultivation Tax (“CCT”) and temporarily reduces the Cannabis Excise Tax (“CET”). Both the 5.0% rate for CCT and the 15.0% rate for CET were set by Proposition 64. Proposition 64 purportedly preserved the rights granted to Californians under Proposition 215. At least that was the stated purpose in the ballot initiative. We have always believed the imposition of the CCT and the CET in Proposition 64 at the same rates on medical cannabis and on adult-use cannabis violated the “safe and affordable” language of Proposition 215. We have always believed Proposition 64 violated the “safe and affordable” in Proposition 215 because there were no findings to support the same rates of tax on medical cannabis as compared to adult-use cannabis. AB 286 increases our puzzlement. There is a substantial justification for the imposition of the CCT at the same rate on medical cannabis and adult-use cannabis. Cultivation of cannabis has the same impact on the environment whether a grower is cultivating medical cannabis or adult-use cannabis. The CET, however, is a “sin tax” collected from consumers as compared to patients. We have always believed the imposition of the CET on medical cannabis at the same rate as the CET is imposed on adult-use cannabis a violation of the “safe and affordable” language of Proposition 215. One possibility we have considered as the justification for the temporary elimination of the CCT in AB 286 is the temporary elimination of a regulatory problem because CDTFA knows a substantial portion of the CCT due for 2018 isn’t collectible. It is our opinion that the failure of CDTFA to carefully, timely and accurately create guidance relating to the collection, record-keeping, reporting and paying over of CCT and CET has resulted in a substantial loss of cannabis tax dollars. Amnesty for taxes California isn’t going to collect is a politically astute way to bury a problem. For perhaps the first time we agree with Mr. Dayton’s sentiment, although his use of the past tense belies the facts. California’s regulation of its medical and recreational cannabis industry IS A MESS. AB 286 is more political pandering than an effort to correct serious policy errors made by California in its implementation of cannabis regulation.